Explore a winter wonderland. Let us lead you on a winter adventure. 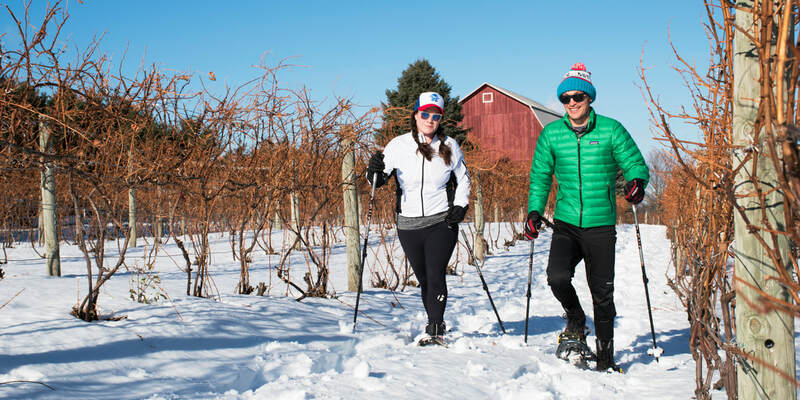 Let our expert guides take the guess work out of snowshoeing. 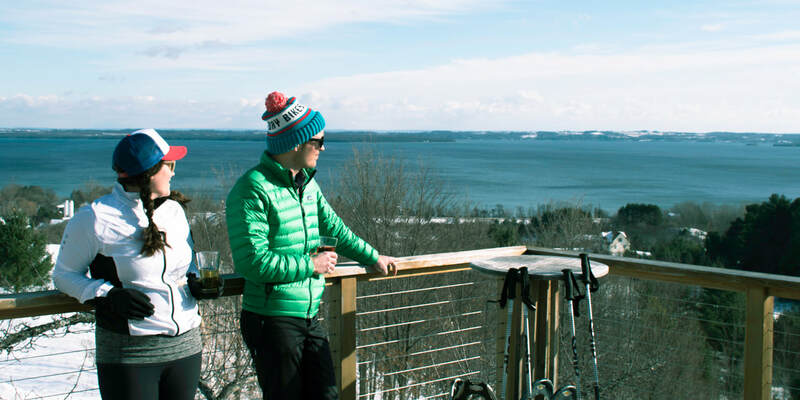 This tour is perfect for first timers as well as seasoned snowshoers. 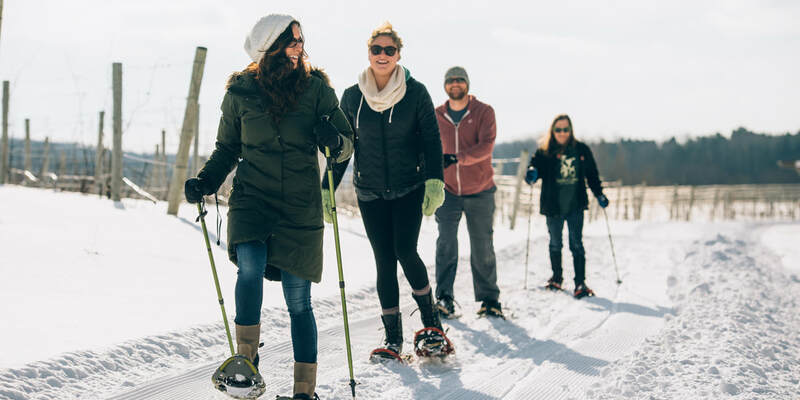 Take a leisurely hike along a private valley trail through the vineyards, exclusive to Grand Traverse Bike Tour guests. 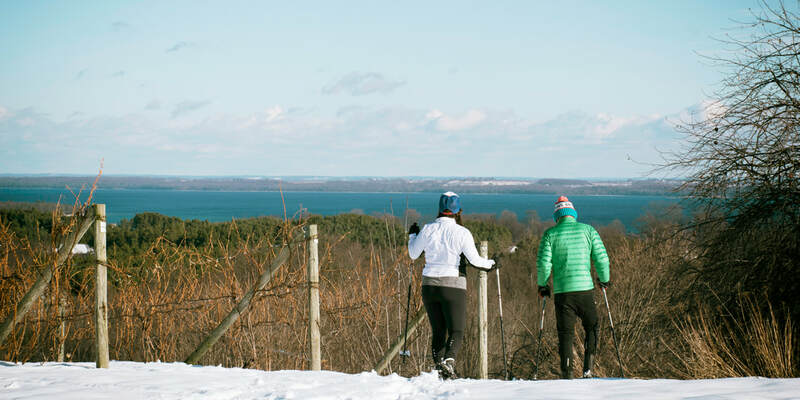 Stop by 4 breathtaking Leelanau wineries. Lounge by the fireplace at Ciccone or take in the views at Suttons Bay Ciders, this tour ensures beautiful scenery around every turn. Tour starts at BigLittle & L. Mawby Vineyards. 4519 S. Elm Valley Road, Suttons Bay, MI 49682​ Plenty of parking available.